The purpose of our subproject "Award Systems" has been to identify different systems that inform consumers about the level of hygiene in food businesses within the Baltic region. Furthermore, we have mapped if there is the possibility for common criteria and a common platform for the countries in the project to communicate their results to the consumer. We conducted a survey of consumers' ability to obtain information on how companies are living up to our common European legislation. 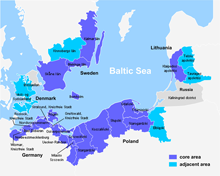 We have investigated nine Baltic Sea countries, including Sweden and six countries in Europe. 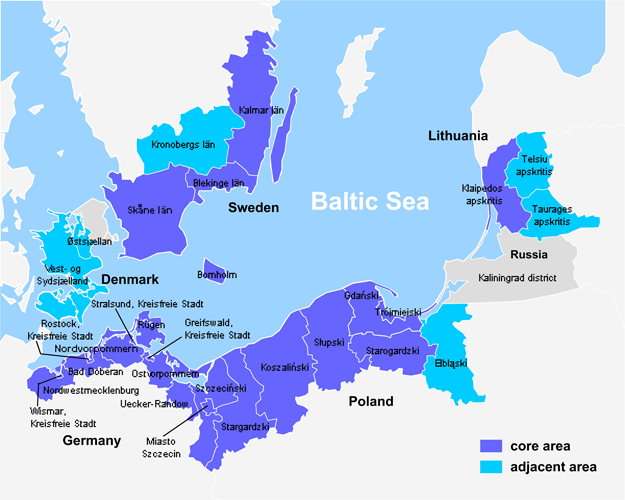 The countries around the Baltic Sea that we have looked at are Denmark, Germany, Finland, Poland, Kaliningrad, Estonia, Latvia, Lithuania and Sweden. Other countries in Europe that we have investigated are Belgium, Luxembourg, Austria, the Netherlands, Switzerland and Ireland. Our survey shows that one country, Denmark, has come a long way in its efforts to publish the results of food inspections in the country. The level of hygiene, after the introduction of the publication of the inspection results, via an icon in the form of a "Smiley", increased substantially. The result is so good that Denmark now also introduced an “Elite Smiley”. This symbol is reserved for companies who have the very best results for four consecutive inspections. We note that a number of countries in our neighborhood have systems that enable consumers to make informed choices regarding how well companies are living up to food law. The design of how to present results varies across countries. There is also a variation in the type of food businesses that are published and how to communicate the results to the consumer. We also note that there is a lot of interest from consumer’s side to be able to get information about inspection results and on this basis to make informed choices. The benefits for producers and consumers are obvious. And most of all does the publication of the results that consumers can have confidence that the business meets the requirements of food law. It signals food safety at a high level. In some countries such as Austria and the Netherlands are discussions about publishing to happen and how the publication of the results should look like. We can conclude that there is an interest from the authorities in these countries to make it more transparent to consumers in their choices. In Germany, a nationally designed system has been developed, to publish results from food inspection, however, this has not yet been adopted in all states. In Poland, there is currently no possibility to publish the results of food inspections. National legislation does not allow this. In Sweden there is no common system for the publication of results. The municipalities that choose to make inspections public often have different systems for this. The consequence of this is that there are many different systems and criteria. This makes it slightly more difficult for the consumer to make informed choices. Some municipalities publish only those operations that voluntarily reports that it wants to participate in the publication and who meet the requirements to be assessed without deviations. Other municipalities publish all the results of the inspections, both those who have been assessed with deviation and those judged to be without deviation. Furthermore, we note that in the countries that have had systems for publishing inspection results, also health level / standard among enterprises have increased significantly. Within the framework of our project, we have also discussed the possibility of possibly publish results from food inspections in Germany, Poland and Sweden. Germany has developed a national system but this has not been adopted by all states yet. There is an ongoing political process to possibly implement the system in all of Germany. Berlin has developed a proprietary system that is used today in the city. Poland currently has no system for publishing as it is currently not permitted under their laws. Among the participating municipalities in Sweden, publishes a number of them their results today via the web and some with a sticker on the door of the company. Unfortunately, municipalities have different systems and criteria to publish results and this means that it becomes more difficult for the consumer to make informed choices. Furthermore, we investigated whether there are opportunities for joint assessment criteria and a common website for the countries in the project to communicate their results to the consumer. Within the project Focus on Food, there is an opportunity for the participating municipalities at the project's website, www.focus-on-food.eu link to the municipalities and regions that publish results of inspections. The project website will remain five years after project completion in November 2013. One of the subprojects in Focus on Food, Activity No. 1, has developed common checklists that can be used during inspections. These checklists could act partly as a base for the assessment of food businesses, as well as a common basis for a publication of the results of the inspections. The possibility now exists to publish inspection results from the participating countries in the project, with common bases and assessment items.